Fab.com founder and CEO Jason Goldberg just made a significant announcement on his blog about some new and upcoming changes at the ridiculously fast-growing startup. The design shopping site now boasts 2 million members, having added more than 400,000 new members in the past month and doubling membership since November. Expect that number to grow fast, because the site is now open for everyone immediately upon sign-up, and will soon become available in Canada and Europe to boot. It’s unclear where and when Fab will hit Europe, but Goldberg mentions in his blog post that he’s recently visited Berlin, Brussels and Paris. Meanwhile, the European clone machines are already hard at work at trying to grab market share before Fab.com makes its way overseas by shamelessly ripping off their design and certain functionalities. Finally, Fab is today debuting ‘Fab Shops’, enabling members to visually browse products by dedicated online storefronts organized around product categories. 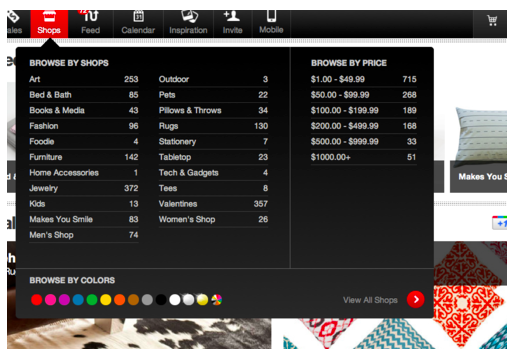 Users can now browse all the products on Fab by shop, color, and price. Goldberg says iPhone, iPad, and Android versions of ‘Fab Shops’ will be added to its product line-up in the next few days. Fab.com offers daily sales of design items in categories ranging from home products to clothing to jewelry to art work, at up to 70 percent off retail. The company recently raised $40 million in series B funding from star investors to support its rapid growth. The company recently announced its first acquisition, purchasing NYC-based FashionStake, a community-curated marketplace for independent designers.